Home Betting System Reviews What Is the Best Value Betting Software? 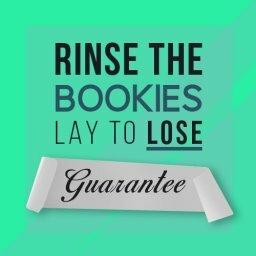 If you are fed up losing money to the bookies it is time for a change. Could using the right type of software bring your betting up to the next level? Specifically, can it make your value betting approach more profitable? This is a very tempting idea. With one simple tool you will be advised which bets are likely to be money-spinners. Value betting software could be exactly what you need. Doesn’t that sound like the sort of easy life that we all crave? You might be thinking, “Hey, where do I sign up?” It’s time for a bit of patience, though. This isn’t something to dive into. There is a quite a lot for you to find out first of all. To start with, there are different kinds of value betting software around. How will you know which one to use? Which one best suits your needs, risk level and starting bank amount? Let’s rewind back to the beginning before getting into the details. You need to fully understand value betting to get going. 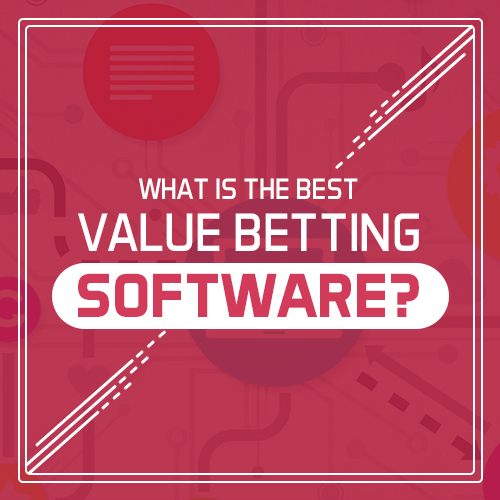 Before we go any further with value betting software, there is an important question to answer. That is; what exactly is value betting anyway? Is calling it “betting on odds that offer good value” too simplistic? Actually, that is a very good way to describe it. Betting is like most things in life. There is good value and poor value to be had. You need to hunt online or on supermarket shelves for good value food and drink. You also need to search high and low for a decent deal on clothes or cars. Well, value betting is the same. Those bets with terrific odds won’t just fall into your lap. There are loads of other people looking for them too. So you need to be smarter than the average bettor about finding them. This is where value betting software comes into play. It lets you sniff out deals that would otherwise slip under your radar. You should note that this doesn’t guarantee you wins every time. It isn’t risk-free like matched betting is. You will lose some of your bets along the way. The idea is that you win more than you lose, though. Should You Do Value Bets on Non Gubbed Accounts? The next question is about when you should start looking at value bets. Let’s assume that you are new to online betting. Is this where you should start betting? So, you have a nice set of shiny new accounts with the main bookies. They don’t know that you are going to have an unfair advantage over them. This means that your accounts aren’t restricted or gubbed. You are still just a normal punter to them. 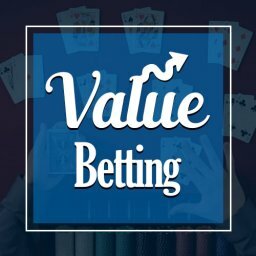 Should you be using value betting strategies at this stage? Or is there some other approach you should use first of all? This might seem like the perfect moment to try out some sort of value betting software. Why not get started in this way? Before you get started there is something to consider first. 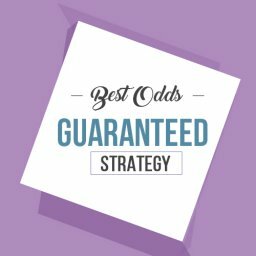 Ideally, you will use matched betting first. This is much more profitable when you have all of your bookie accounts. You can earn a good deal of money. Right now, value betting is just an ace up your sleeve. However, at some point your accounts will probably be restricted. This means that you will lose your bonuses from the bookies. When this happens, matched betting become a lot more difficult to earn from. It is then time to try something different. So, you will need to look for a new approach. This is where value betting can save the day. 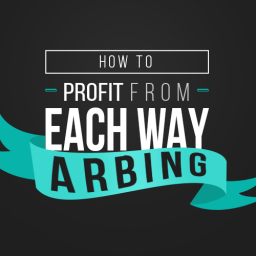 You can use your gubbed accounts to keep profiting with this method. There is no need no rely on bonuses for this strategy to work. In this way, you keep on earning for longer. The transition from matched betting to value betting makes perfect sense in this situation. Is value betting something that suits you right now? Each kind of betting strategy is right for certain people. Who should be looking at this is an option? For a start, it isn’t something that is ideal for beginners. In fact, we saw earlier that there are more profitable approaches for newcomers. There is no need to move onto value betting too soon. You can ease yourself in with no-risk matched betting. Therefore, it is most suitable for advanced matched bettors. These are people who have experience in this way of making money. Value betting is a natural progression for these bettors. Typically, there will be people who need to find more strategies. As mentioned earlier, this could be because their accounts are gubbed. It could also be that they want to dedicate more time to their betting. Maybe they have more spare time after their matched betting activities are done for the day. The next question is how you are going to do this. Is finding value bets hard work? The truth is that doing this manually would be virtually impossible. You really need some good value betting software on your side. 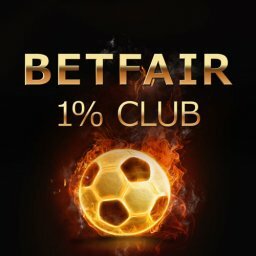 What kind of value betting system will you use? This will determine the value betting software you need, of course. There is more than one way to find and place bets that work for you. Therefore, you can start by looking at the following ideas. Which one looks just right for your needs? This is a great way of squeezing the maximum value out of your betting. You will be shown bets that give you the value you are searching for. Each Way Sniper is one of my products. Who might it suit? When is the Each Way Sniper value system well worth taking a look at? If you just want a simple way to make money then it is worth checking out. At the heart of this strategy is each way arbing. What does this mean? Well, it isn’t matched betting. So you won’t be placing any lay bets. You just need to back a certain bet for a fixed outcome. By doing this, you will be taking advantage of a specific loophole. The deal here is that bookies don’t always get their odds spot on. This means that you can dive in and get better value odds on the place part of the bet. Sounds pretty satisfying, doesn’t it? In this case, how exactly does it work? 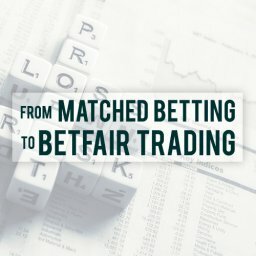 How does the value betting software help? Well, this is when the price for a place is higher than it should be. This price doesn’t tie in with the win odds. The Each Way Sniper software finds these cases for you. It also shows you how much you could win thanks to the incorrect odds. So all you have to do is decide whether to proceed. All of the necessary information is there for you to easily digest. There is no fuss at all with this value betting software. No lay bet is needed. Just put on a each way bet on the right horse. The software gives each runner a value rating. If it is over 100 then it makes sense to back it. It is a strategy purely for horse racing. It is also focused solely on each way bets. This is a terrific system that delivers results time and time again. The fact that it is so easy to learn is another big advantage. Click here to visit Each Way Sniper. The next piece of value betting software is called Trademate Sports. 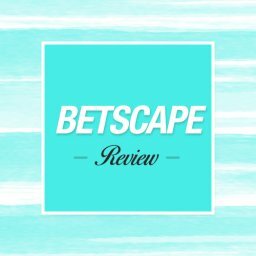 This is a way of easily identifying some of the best value bets around. It is a popular system with some good online reviews. How does it work? Quite simply, it first of all works out the true odds of a certain outcome. What are the real chances of, say, Everton beating Chelsea at half-time? Or of Messi being the first goal-scorer in a game. This value betting software compares the odds on offer. Have the bookies got it wrong this time? Are Liverpool more likely to be the score first than they have priced them at? It is easy to think that the bookies never make mistakes. Yet, this type of tool shows that they do. For instance, they might be slow to react to changes in the market. Or the last-minute team news might not affect their prices right away. It covers a huge range of sports and over 100 bookies. In fact, the people behind it say that this software identifies thousands of value bets. They say that the software discovers value on 25,000 events each year. Football and tennis seem to be their strong points. You don’t need to be an expert on either sport, though. You can simply choose to follow their suggestions or not. 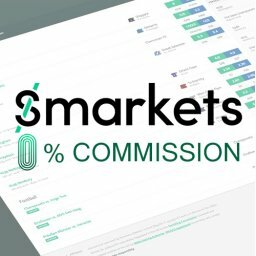 The Trademate site suggests a 1.51% average ROI per trade. This software is fairly expensive to sign up for. You also need a pretty big starting bank to kick things off. On the other hand, the figures to date suggest that it works to a certain degree. Having said all that, it isn’t a system for you to bet on every single opportunity identified. They point out that you can get your bookie accounts suspended in this way. So, you need to spend some time picking and choosing. Despite this, it is still a quick, tidy approach. What about value betting software that lets you double your bankroll in 3 months? Is this something that is even possible? 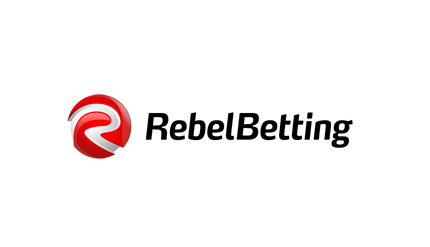 Rebel Betting claim that their average user does. This is based on placing 30 bets each day. It is quick to place each bet. Yet, you will still need enough time to place enough bets. What is it all about? This system looks at efficient, sharp bookmakers. This lets them work out the true odds for each event. This, in turn, allows them to spot any value bets with other bookies. So, you can see exactly where the value lies. With this value betting software, it takes just a few seconds to place a bet. They analyse tons of odds from 90 bookies constantly. So there is never a shortage of options to choose from. This is another piece of software with a fairly high subscription fee. You need to take into account the cost of this service. As with all systems of this type, the subscription costs eat into the profits. The company has been around since 2006. So, it is a pretty well-established business. This is definitely a point in its favour. The interface is pretty good and there are lots of bets identified. As with most type of value betting software, you need to be fast. These opportunities tend to come and go in the blink of an eye. So it isn’t right for someone without the time to take advantage. The bets are easy enough to place. But you need to be aware of the time needed to react quickly. The high bankroll and the risk of getting your accounts closed are a couple of the major drawbacks. The tastily named BetBurger offers another piece of value betting software. 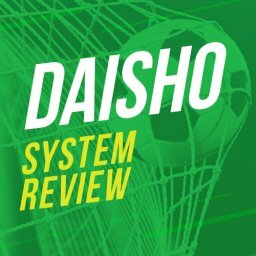 This is a system that scans bookies’ odds for worthwhile bets. Could this be the right system for you? As with the other software we have looked at, this makes it really easy to place bets. You don’t have to do much more than choose a bet then place it. Pick between live and pre-match betting to get started. It works in the same way as many other value bet services. This means that it looks at sharp bookmakers to find the current, true odds. This is then compared to other bookies. Over 100 bookies are included in the scanning that is constantly carried out. The customisation options include a useful set of filters. This lets you choose from 27 sports. You can also filter on matters such as min/max yield etc. In this way, you can save some time. It is easy enough to use this tool. They also suggest that you only need 2 or 3 sports betting accounts for it to work. Again, it is quite expensive to sign up for. This is actually a new function that was added to their software in 2018. So there aren’t as many reviews and user comments about it as with other systems. This value system compares odds from over 100 bookmakers. It is basically an arbitrage alert system. They identify lots of opportunities with lower than expected odds by scanning the market. The free option is a decent way of getting started. However, there is a 20 minute delay on value bets. The silver package reduces this to a 3 minute delay. The most expensive subscription is to the gold package. There is no delay on this package. Plenty of different sports and events are covered. The tool is also very easy to use. You can get up and running in next to no time. As usual, there are some drawbacks to be aware of. For instance, there is the risk of losing money. You need a decent starting bank to be sure you won’t run out of cash too. All in all, this is an interesting value betting option. If you choose the more economic packages, the delay is going to make life more difficult. 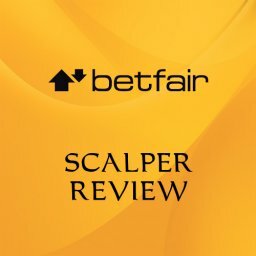 Since Betfair is so incredibly efficient, are value bets impossible to find? Surely, there is no way of doing this. Not quite. But doing it does take a bit of extra work. 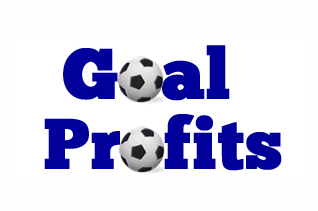 The Goal Profits site shows how this can work. They have a range of Betfair trading strategies for football. Among them are value bets. The approach taken here is that of extensive analysis on upcoming games. By looking at all of the statistics, they identify value bets. As with other systems, these are bets with overly-attractive odds. This is a football trading community. So you will probably want to spend a fair bit of time on here. There is a chat room, forum and workshops, for example. You might also need to trade out during the event. This means following the action and also having an exit strategy. If you have the time for it, this could be a good option. It isn’t quite as simple as some of the other value bet software options, though. Finding value bets is a tried and trusted way of beating the bookies. The big question is how you will do this. Which system will you use to increase your profits? As we have seen, there are a number of value betting software options. By understanding them, you can choose the right one for the approach you prefer. If you get the right approach then you can benefit handsomely. Therefore, it pays to take your time and make a sound decision on what to do. In my latest guide I show you how to profit from Value Betting. This includes 2 value bet strategies with bookmakers and 1 that works with Betfair.